When we had our Spring Dyno Day at Vanku Autosports, we were expecting mostly cars to be there showing off what kind of power they make. 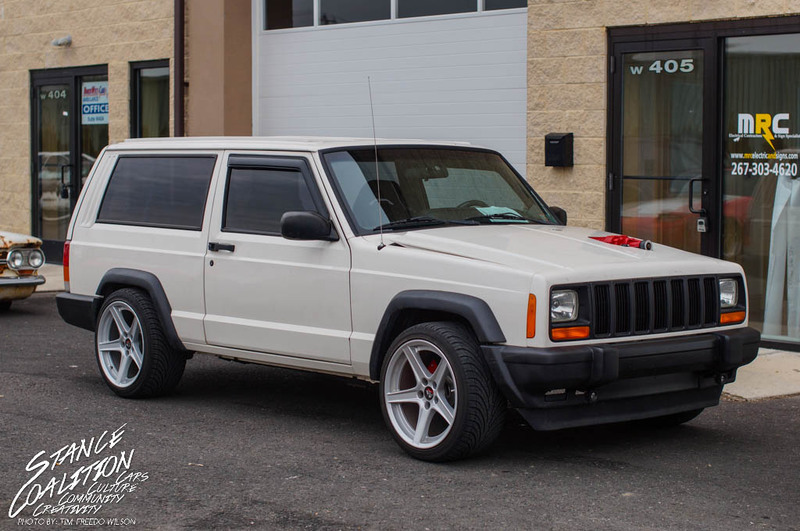 The day of the event, I got a text from a good friend of mine asking if I knew anyone that drove a Cherokee with a supercharger coming out of the hood, I said “No, but maybe he is coming here.” (jokingly) About 15 minutes after that text, I hear someone mention a that a Jeep just rolled in and I had to go see if it was the ‘charged one I heard of earlier. 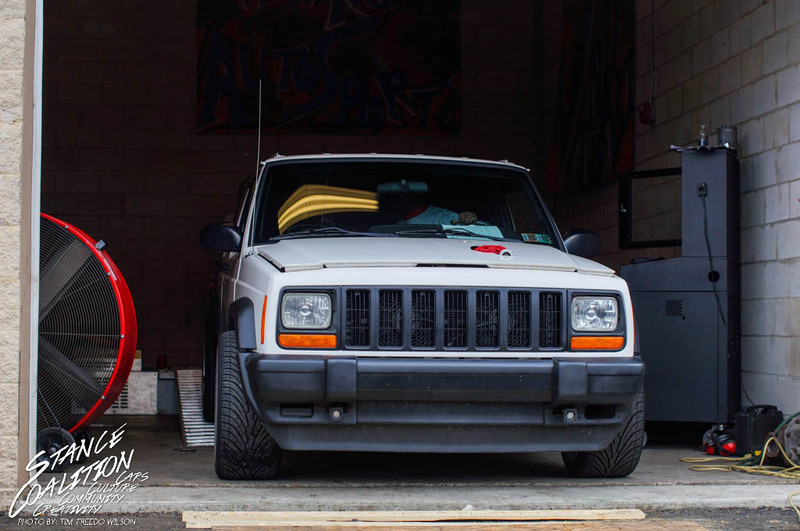 As I walked around the outside of the shop, I was presented with a Cherokee like I’ve never seen before. Low stance, poke, and a big hole in the hood! This was the supercharged Jeep. 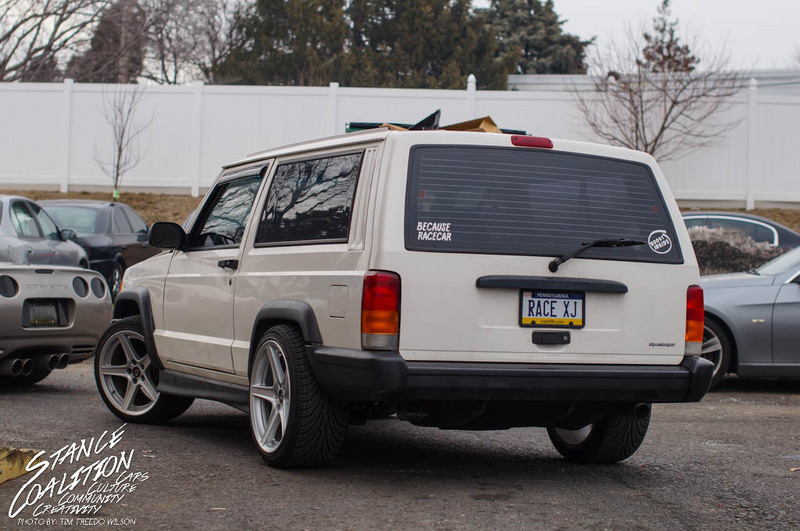 After a while, I got to talking to the owner, Ben Pasqualone, about this unique Jeep and found out that he has been building it to Autocross with. 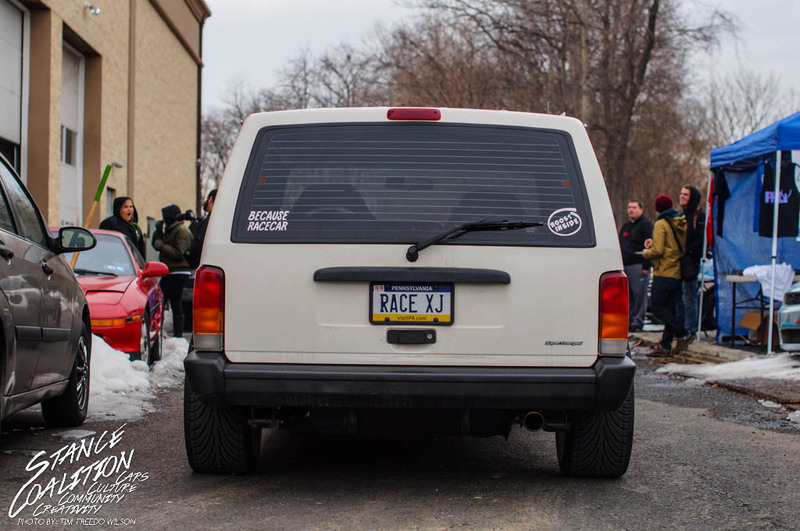 Ben found himself in a Jeep and saw a couple of other builds of Autocross 2wd Jeeps, so he decided to build his own. The Eaton M62 Supercharger looks awesome poking out of the hood along with the 18×10 Mustang reps giving this 2wd Jeep a fantastic and aggressive stance that’s perfect for the auto events it is built for. Ben’s Build is a big one! For more info, click the link below for the full build thread!